A good safety program is one that involves every member of your organization. And, in today's fast-paced work environment, staying front-of-mind can sometimes be a challenge. Since our company was founded in 1898, we've made creating a culture of safety one of our top priorities. Today, I'm sharing with you two great resources you can use to help integrate your safety goals and priorities into your company's culture. Make it easy; make it electronic. Sending a newsletter electronically can save time and money. It can be as simple as a typed e-mail organized by categories. Or you can take advantage of some of the free or low-cost online e-newsletter creators, like Constant Contact or MailChimp. These services require very little computer knowledge, allow you to add photos and graphics, and let you track information like open rates. Look for articles from existing sources. I know, I know: you don't have the time to write safety articles. Who does? 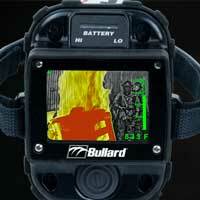 But, if you subscribe to safety newsletters like Bullard's e-news, you can pull from those Safety Tips, case studies, and safety updates to fill out your newsletter. Make it fun. The best newsletters are ones that you are excited to read. Your newsletter doesn't have to be uptight and formal. Instead of just filling it up with safety tips and procedures, mix in employee photos, important achievements, company celebrations…maybe even have contests or share an employee's favorite recipe of the month. Safety recognition programs can be an effective way to incorporate safety into every part of your organization. 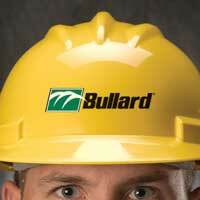 At Bullard, you may know that we invented the hard hat back in 1919. And, we believe that wearing well-designed head protection is one of the most important safety precautions for many organizations. We also know that even the best head protection is only effective when workers keep them on. That's why we regularly recognize workers whose lives has been saved (or whose injuries have been reduced or prevented) by wearing a hard hat. This recognition program is called the Turtle Club. Membership requirements for the Turtle Club are the same today as they were when it was created in 1946. Men and women who have escaped serious injury by wearing hard hats can be nominated for membership by their supervisor or company safety director. Each new member receives a new hard hat, a membership certificate, a membership card, a Turtle Club pin, and a Turtle Club decal. If your organization wears hard hats, you can promote the Turtle Club or create your own safety recognition program. I love this article from OHS Magazine that outlines 10 Components of an Effective Safety Recognition Program: http://ohsonline.com/articles/2013/06/01/effective-safety-recognition-programs.aspx.